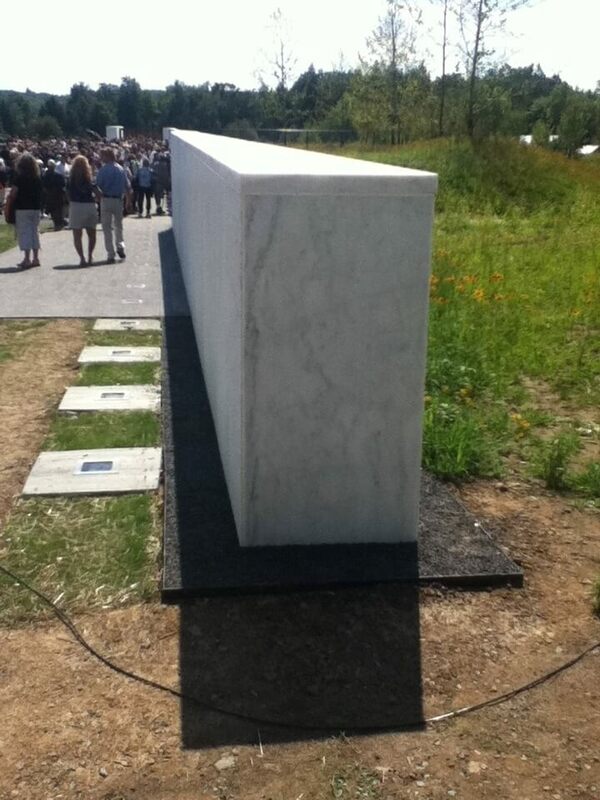 Four reporters from the Setonian (Seton Hill University’s student paper) conducting an interview at the Flight 93 memorial in Shanksville, Pennsylvania on 9-11-2011. A black smudge visible between the trees (upper right) is one of three helicopters in the presidential entourage. 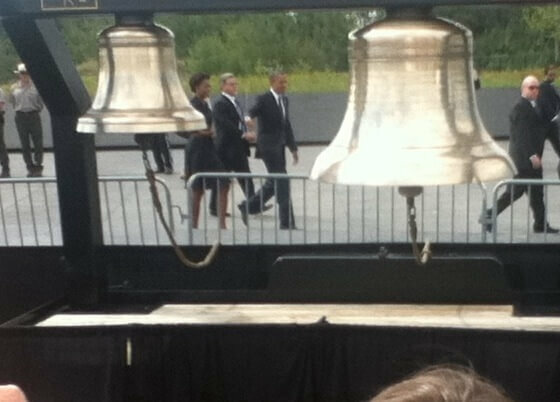 I only brought my iPod Touch, which has very weak photo resolution, but here you can see the Obamas quite clearly. 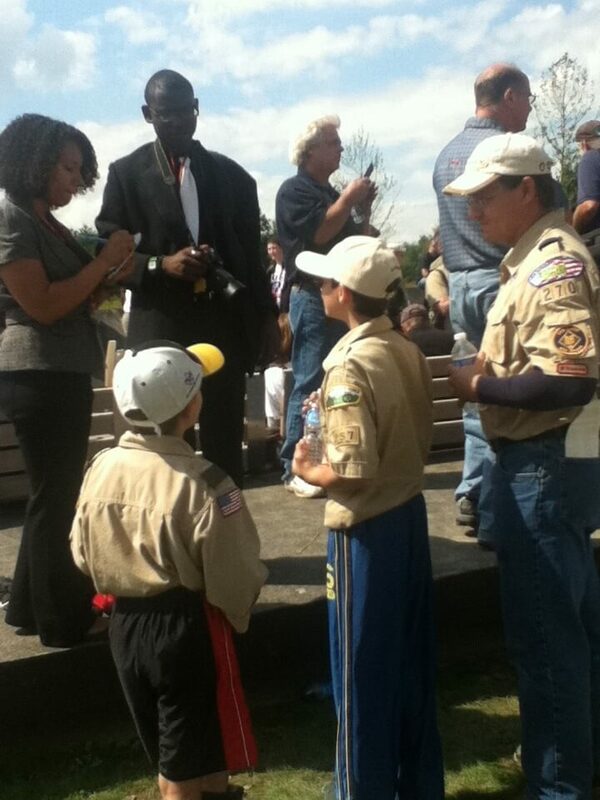 Below, Setonian staffers Aja Hannah and Jalen Gumbs interview some scouts. 11 Sep 2011 in Academia, Current_Events, Government, Journalism.